Pope Francis has declared 2016 a “Holy Jubilee Year of Mercy” as a way for the Catholic Church to “make more evident its mission to be a witness of mercy.” It will begin December 8, 2015 and last until November 20, 2016. In the ancient Hebrew tradition, the Jubilee Year, which was celebrated every 50 years, was meant to restore equality among all of the children of Israel. The Jubilee Year was a reminder to the rich that a time would come when their Israelite slaves would once again become their equals and would be able to reclaim their rights. In the Catholic Church, jubilee years usually are held every 25 years; the last was the Great Jubilee of the year 2000. Holy years feature special celebrations and pilgrimages and offer special opportunities to experience God’s grace. 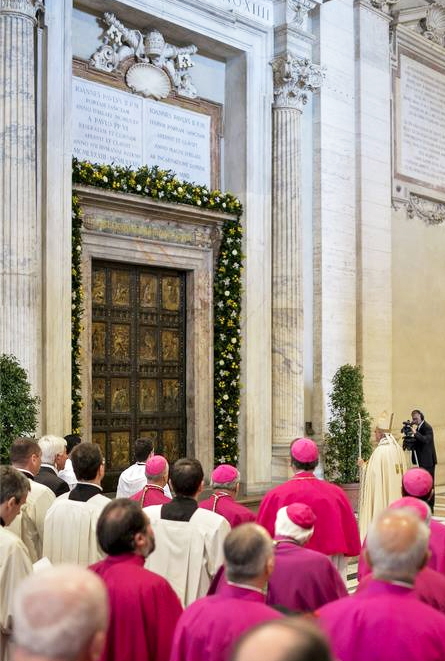 This rite of the opening of the Holy Door illustrates symbolically the idea that, during the Jubilee, the faithful are offered an “extraordinary pathway” towards salvation. 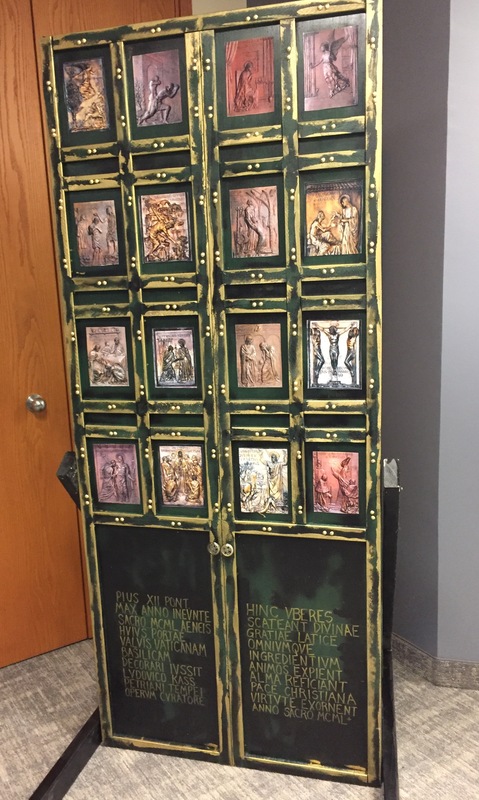 The theme of human sin and God’s mercy is illustrated in 15 of the 16 bronze panels that make up the current door, with episodes from both the Old and New Testament, including the Fall of Adam and Eve, the Annunciation, and the Merciful Father (and Prodigal Son). Visit the St. Peter’s Basilica website to read explanations for each panel of the Holy Door. 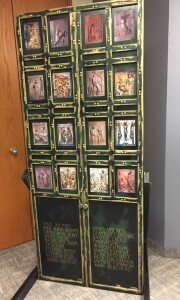 In the OCSTA office is a wonderful replica of the Holy Door of Mercy created by Director of Education, Brian O’Sullivan. 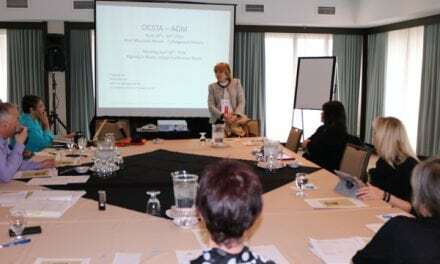 On November 2, 2015, OCSTA announced that as part of the Council of Trustees’ Associations, and together with the provincial government, a tentative agreement on central terms of a collective agreement for CUPE education workers in Ontario’s schools has been successfully negotiated. The details of the agreement remain confidential until ratified by all parties. 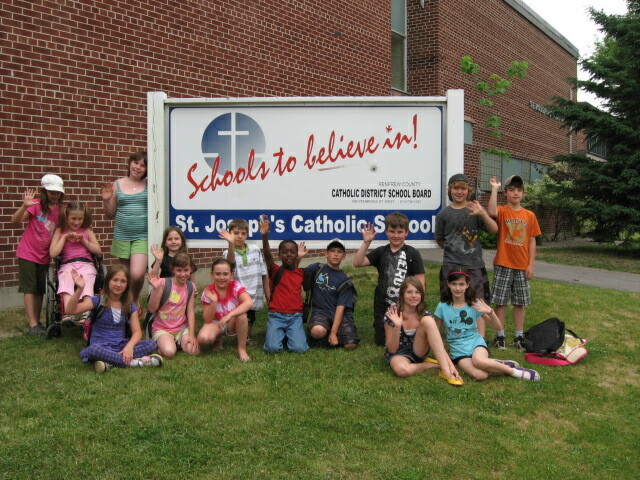 Negotiations continue with other unions representing various education workers employed in Catholic schools and board offices. All trustees are reminded that OCSTA sends out labour negotiations memos to Chairs (or their designates) and Directors of Education on a regular basis in order to keep boards informed and updated on the progress of negotiations. For more information please contact OCSTA’s Labour Relations Office administration contact Pam DeNobrega at (416) 487-2925 / pdenobrega [at] ocsta.on.ca. 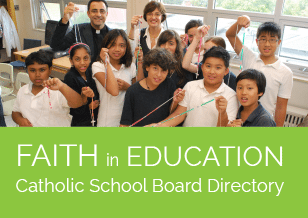 View this York Catholic DSB submission from Fr. 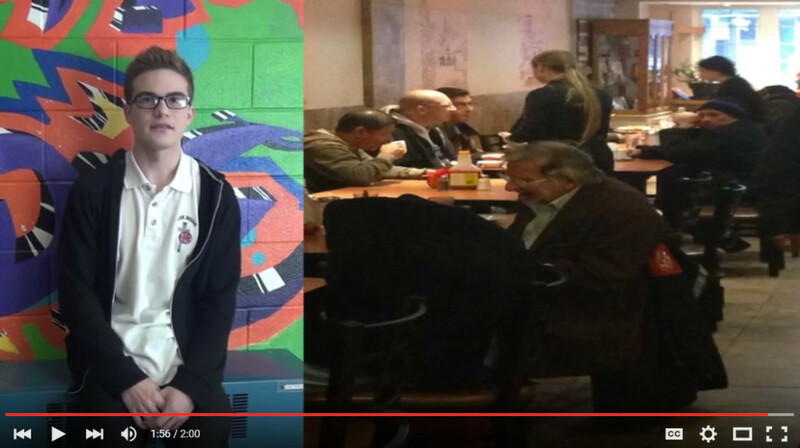 Bressani CSS – A 2nd place winner in the 2014 short video contest. 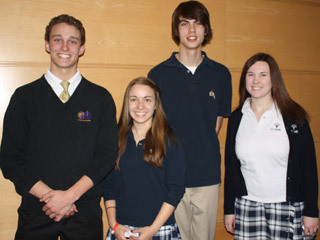 The current short-video contest for grade 4-12 students in Ontario’s English Catholic schools, is a celebration of the ways in which Catholic school communities give life to the teachings of the Gospel through their actions of love, compassion and service to others in need. As in previous years, the OCSTA Short Video Contest invites students/schools to submit 2-minute videos presented on the YouTube platform to OCSTA by the deadline which this season happens at 5:00 p.m. on Monday, November 16, 2015. The winning entries will be announced at the end of November. Trustees are encouraged to remind their school communities of this deadline. We look forward to highlighting and celebrating all entries that meet contest requirements! Contest Information website – or contact Sharon McMillan at OCSTA for more information – smcmillan [at] ocsta.on.ca / (416) 932-9460, ext. 232. A reminder to all trustees that OCSTA has developed an online portal called “The Good Governance Centre” to support trustees in their governance role and as stewards and guardians for Catholic Education. This is online resource centre contains content created for trustees by the Ontario Education Services Corporation and further enhanced with unique material produced by OCSTA to address the distinctive needs of Catholic trustees. Each module includes an automated self-testing tool. Upon the successful completion of each module a certificate is available that can be printed locally by the participant. A final certificate is provided for the successful completion of the entire program. Please download and print the user guide we have prepared to assist you in using this resource. Under the Accessibility for Ontarians with Disabilities Act (AODA), school boards are required to file an Accessibility Compliance Report by December 31, 2015. The report is to address ongoing compliance with Accessible Customer Service and the integrated Accessibility Standards Regulation. 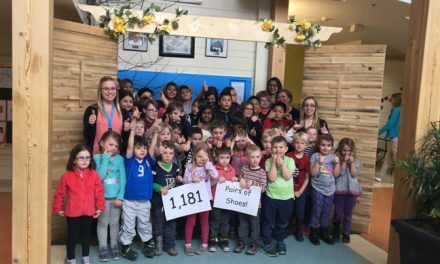 All school boards are considered to be Designated Public Sector Organizations and are required to submit an online accessibility compliance report related to their compliance requirements. For more details please visit the AODA website. Each year the Catholic Register newspaper hosts a “Children’s Christmas Drawing Contest” and school boards are encouraged to share this information with students and families. The winning drawings will appear in The Register’s December 20th Christmas Edition. The top entry in each of 3 categories will receive a $50 gift certificate for a day at the movies. The contest is open to children enrolled in Grades 1-8. The deadline for submission is noon, December 11, 2015. A completed entry form is required for every entry, and must include the signature/authorization of a parent or guardian; the poster/form can be obtained by visiting the Catholic Register’s Christmas Contest web page. For more information, please contact the Stephanie Williams at the Catholic Register – (416) 934-3410, ext. 404.